Researchers have developed a way to turn so-called “topological insulators” into powerful thermoelectric materials which can generate three times more electricity than more conventional methods. In trying to tackle one of thermoelectricity’s most significant problems, a new technique from MIT has managed to triple heat to electricity conversion efficiency. Now that even Big Oil has come out of denial and started taking renewables seriously, the issue of energy demand and consumption has become a bigger talking point than ever. Many renewable energy sources, mainly solar and wind, are still under development. They’ve had a number of issues with energy storage, generation, and transportation. However, thermoelectricity is unlike these two in that it’s available everywhere, all the time. Based on a physical phenomenon discovered in the 19th century, the method of generating thermoelectricity is simple. It consists of a material’s heat being directly transformed into electricity. Following three different effects known as the Seebeck, Peltier, and Thomson effects, thermoelectric devices are lightweight. They’re also reliable, durable, and contain no moving parts. 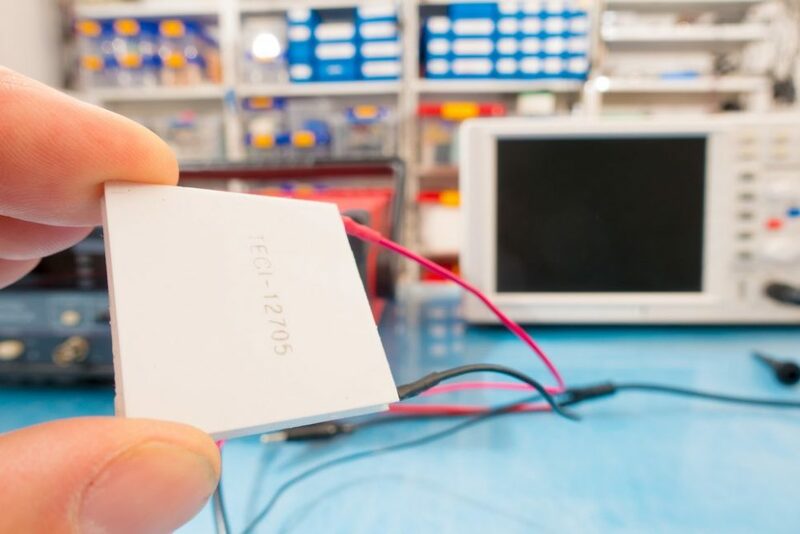 Thermoelectric devices can be useful for many different applications, no matter how large or small. Some examples: industrial cooling systems, cooling systems for electronic devices, precision devices, batteries, sensors, and devices in the medical and automotive industries. Scientists have been investigating the potential use of thermoelectric systems for a long time. These devices could be used to harvest waste energy from solar panels. Going further, thermoelectric systems could absorb the heat energy from factories or public buildings. However, for such an application, thermoelectric devices need to be highly efficient. Yet, because they’re dependant on the materials that they’re built from, their efficiency has remained limited for some years. In this regard, MIT scientists have been working on a solution. Recently, they seem to have found a very promising path. Topological insulators are materials which can both insulate and conduct a current at the same time. Their unique nanostructure allows them to both insulate the interior while also being able to conduct electrons on the surface. The research team primarily worked on tin telluride, a topological semiconductor, to test their approach. The team found that the smaller the grains of the material were the higher the efficiency was as a narrower surface led to fewer electrons being scattered. With tin telluride grains only 10 nanometers in size, the amount of electricity increased threefold. However, these findings, published in Proceedings of the National Academy of Sciences (PNAS), are based on computer simulations rather than actual experiments. Despite this, MIT researchers are confident in their ability to achieve the same grain size using a nanostructuring technique. Do you think thermoelectricity could be the clean energy of the future? Or will it just be too difficult and expensive to be feasible?